St. Patrick's Day is just around the corner and with it come some great traditions like smoked corned beef brisket or what we call pastrami. 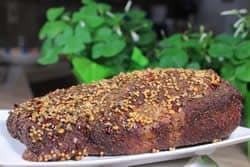 After eating this stuff right out of the smoker and seeing how good it tastes and how easy it is make, you might just make this a tradition at your house as well. 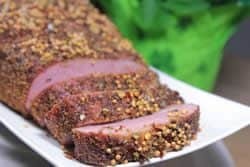 My Texas style rub recipe was a wonderful seasoning for this smoked corned beef brisket due to it's amazing flavor, low salt content and it's wonderful ability to compliment the meat perfectly. 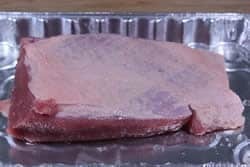 Lay the meat in a pan (recommended) so you can season it on all sides without making a huge mess. 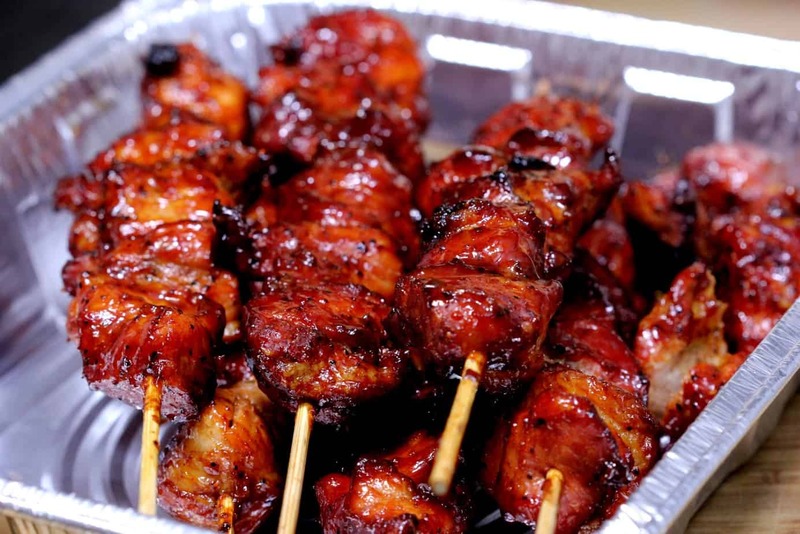 Note: the Texas style rub recipe is included for free when you purchase my rub recipe. 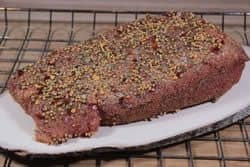 My corned beef had a seasoning packet which included seeds of fennel, coriander, mustard and caraway along with allspice, cinnamon, pepper, dried chili and pieces of bay leaf. I decided to go ahead and use it on the very top of the beef to enhance the color and flavor. 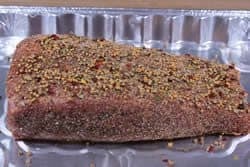 You can season the night before if you wish or you can perform this task right before you are ready to smoke the corned beef. Your choice. Once seasoned, the corned beef brisket is placed on a bradley rack (if you own these handy items) to make it very easy to transport the beef to and from the smoker. 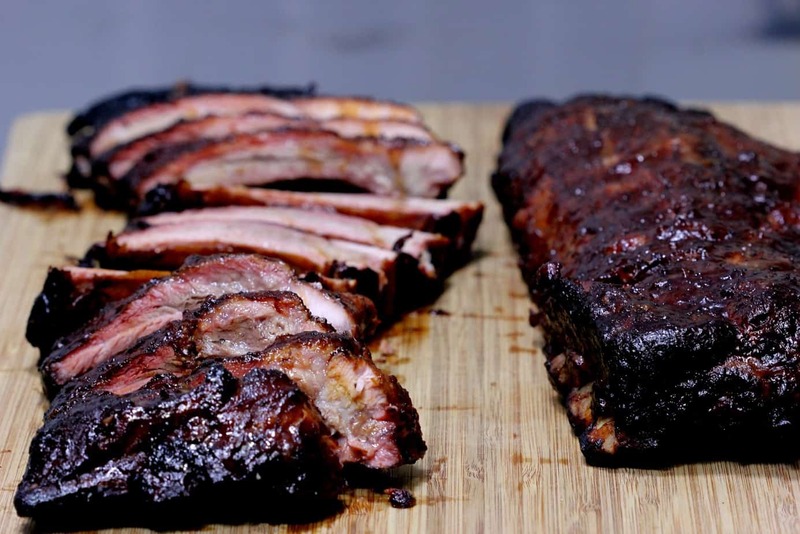 I actually placed mine on a piece of wood for presentation purposes however, due to the low, indirect temperature of the smoker, the wood plank will not get hot enough to add any immediate flavor to the meat so it's just for looks. 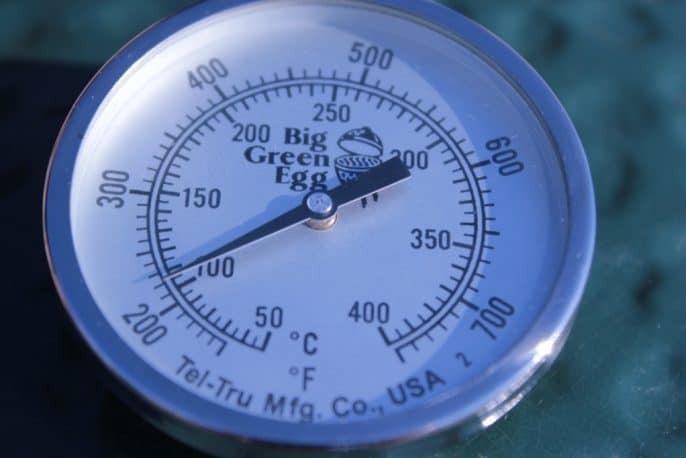 Set up your smoker for cooking indirect at about 240°F using cherry wood if you have it. Any there smoking wood will work fine. If you have a water pan, use it. 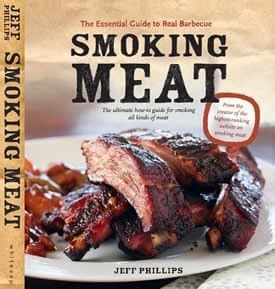 A little humidity in the smoker goes a long way toward helping the meat to not dry out as bad in the smoker. 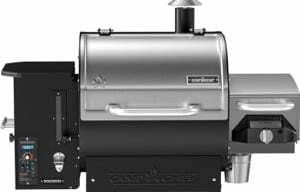 Once the smoker is ready to go, place the corned beef brisket flat in the smoker on the bradley rack or directly on the grate. My corned beef brisket had a very thin fat cap so I placed it in the smoker with the fat cap facing down. Once again, this was for presentation purposes and I wanted the top side to be meat with the seasoned crust.. no fat. 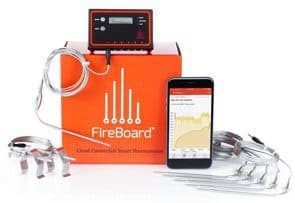 Monitor the temperature of the brisket using a digital probe meat thermometer such as the Maverick ET-733 so you will know exactly when it's done. 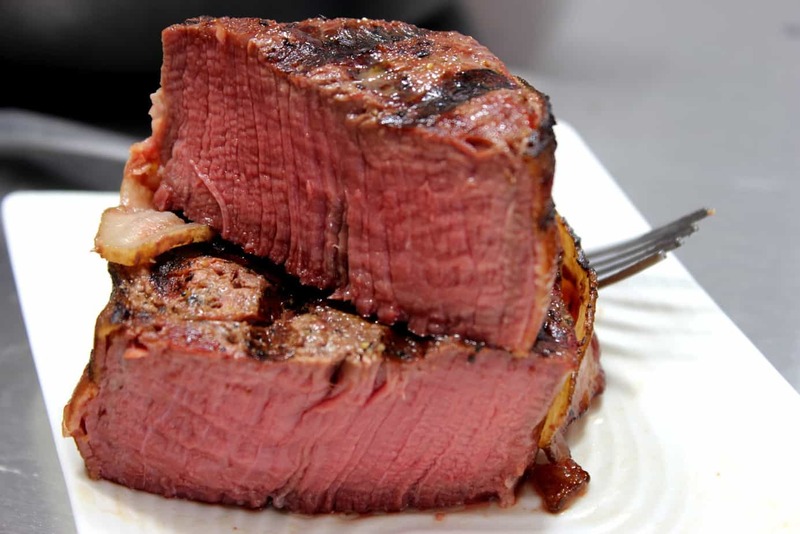 The meat is safe to eat when it reaches 160°F but is usually cooked to 190°F to allow it to get more tender. 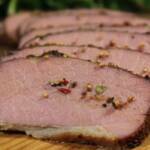 You can expect this to take from 6-10 hours depending on the thickness of the corned beef brisket that you are using. The thicker is is, the longer it will take to reach it's done temperature. 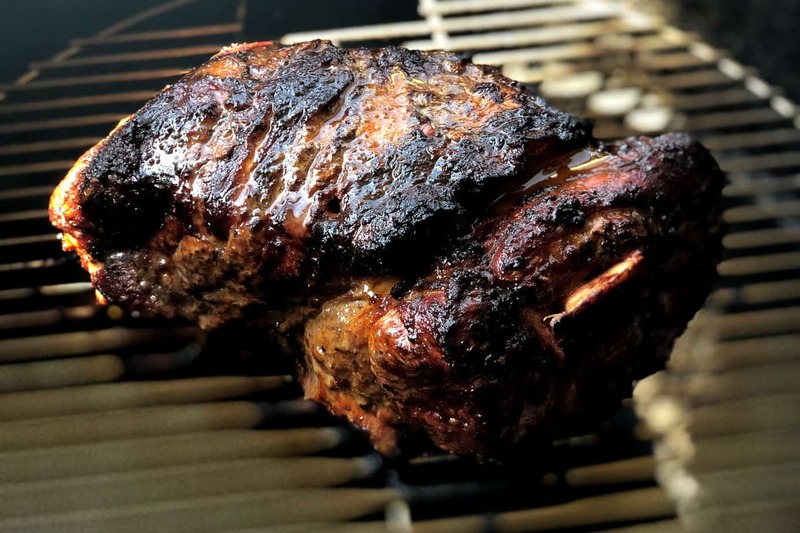 When the meat is done cooking, it can be held for 3-4 hours (if needed) wrapped in foil until dinner time as long as it is kept at or above 140°F. 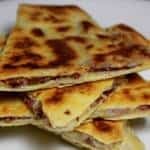 To serve, slice the meat up into ¼ inch pieces. St. Patrick’s Day is just around the corner and with it come some great traditions like smoked corned beef brisket or what we call pastrami. 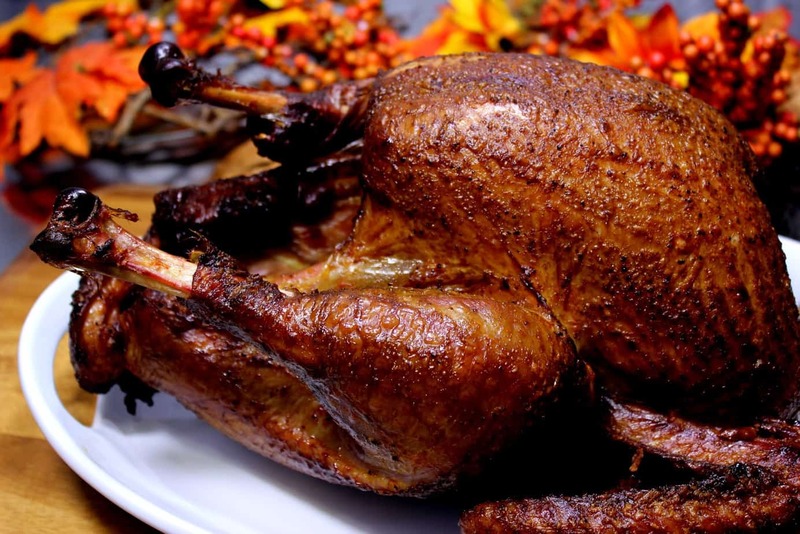 After eating this stuff right out of the smoker and seeing how good it tastes and how easy it is make, you might just make this a tradition at your house as well. 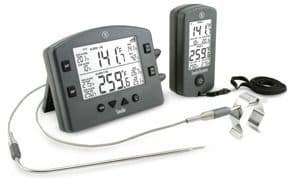 Monitor the temperature of the brisket using a digital probe meat thermometer such as the Maverick ET-733 so you will know exactly when it’s done. 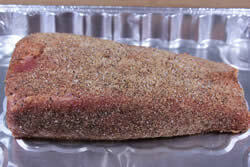 You can expect this to take from 6-10 hours depending on the thickness of the corned beef brisket that you are using. The thicker is is, the longer it will take to reach it’s done temperature. I made ths over the weekend and was very glad I did although I can’t believe the shrinkage from a 5.5 lbs flat. 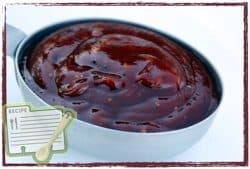 Next time I will soak the meat more to get rid of the salt as I felt it was a tad salty but I still gave the recipe 5 stars for taste and texture … the saltiness was my own error and not the fault of the recipe. I just received your cookbook today and look forward to making other recipes from it. My next attempt will be shrimps and smoked cheese for Easter. This newbie is enjoying smoking as a new hobby! I made this over the weekend and was surprised how much it shrunk for a 5,5 lbs flat. The next time I’ll soak the meat more beforehand as I foumd it a little too salty for my taste. I still give it stars for taste and texture because the saltiness was my fault I believe. I just received your cookbook today and look forward to trying more recipes from it. Next attempt will be shrimps and smoked cheese for Easter! Can’t wait! Jeff, as far as making up a seasoning mix, does it matter whether the garlic and onion is granulated as opposed to powder? 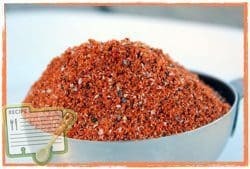 Robert, the granulated can be a little more gritty than the powder but it will usually work just fine in a rub or seasoning mix. Do you have an estimated cook time of time by thickness? 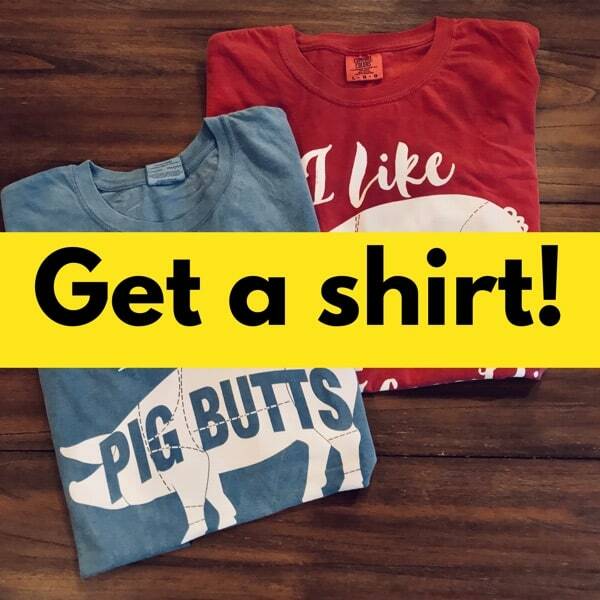 Do you have an estimated cook time by thickness of the brisket? 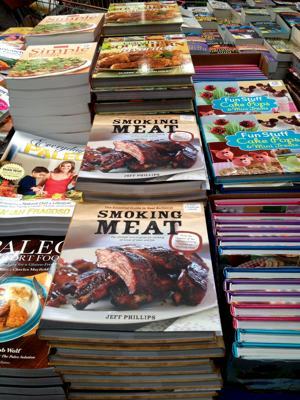 Jeff – wish you would have chosen a whole packer brisket and showed us how to break it down. I’ve always been taught that you brine for a week in a water/pickling spice combination, then it is cold smoked, then it is steamed. I’m sure this method is tasty but I sure wouldn’t call it Pastrami. Whether I spend a week or more pickling or brining the brisket flat or whether I let someone else do that for me does not take away from what it becomes when smoked. Can you do a better job of pickling it at home? 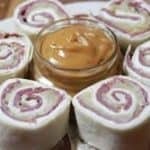 Probably so, with the right method but, this recipe is about using something ordinary purchased at the store and making it pretty amazing. 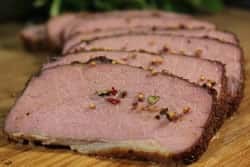 I used a 3.5 lb corned beef brisket from my local wegmans grocery store. I used Jeff’s original rub with called for salt. I used my Weber WSM 22.5. I used applewood for the smoke and the total time was just about 10 hours. It was a very windy day so my temps varied from 130 – 150. I wanted to pull it early and glad I waited till we hit 190. Sliced cross grain, the meat was so juicy and tender. It had a sweet / spicy / salty flavor. Sadly, there were no left overs to have with eggs on rye bread the next day. This was a great recipe from Jeff and so to prep and cook. 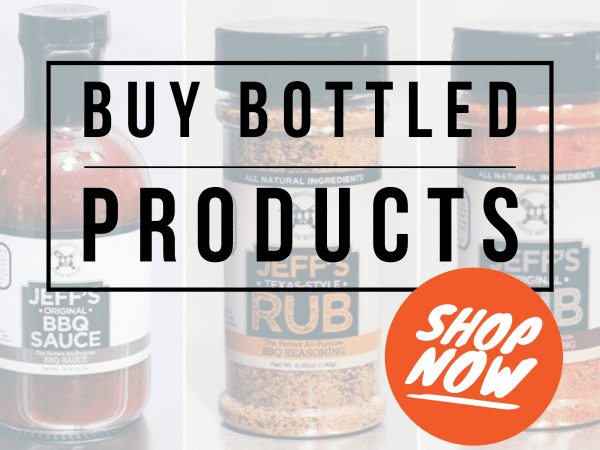 I always make a double batch of Jeff’s original rub and keep on hand for seasoning rice and sausage dishes. The dark brown sugar has such an awesome taste.